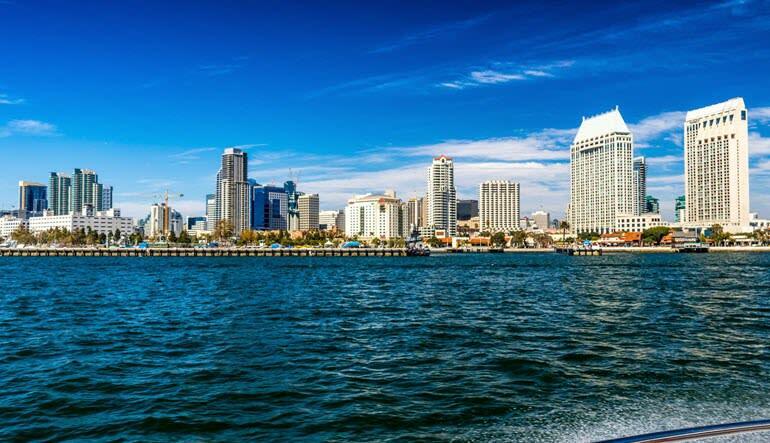 Set sail for the perfect seascape getaway on a San Diego Bay yacht cruise! A natural harbor and deepwater port, San Diego Bay is one of the most beautiful marine areas California has to offer! 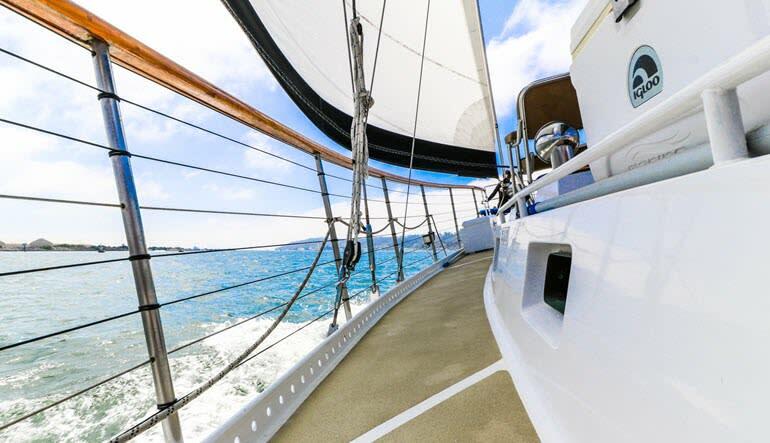 Set sail for the perfect seascape getaway on a San Diego Bay yacht cruise! A natural harbor and deepwater port, San Diego Bay is one of the most beautiful marine areas California has to offer! While cruising the Bay, you’ll be treated to a host of wildlife in addition to truly amazing scenery, including dolphins, sea lions, harbor seals, cormorants, and more! With a stunning mix of natural aquatic beauty and manmade urban skyscape, the Bay offers visitors an amazing vista for relaxation and fun. And what better way to experience it all than from the deck of a stunning yacht? This 41’ Maxum Sport cruiser is the perfect vessel for your San Diego Bay voyage! Decked out with a sound system, LED upper deck party lights, and underwater accent lights, the Mai Tai is the place to be for some watery fun in the sun. Renowned for its expansive windows and flybridge, this yacht glides smoothly in style with European accents and sprawling deck space for all of your cruising needs. Whether you’re just visiting the area or live here year round, a cruise on San Diego Bay is an experience to treasure. Hop onboard for a nautical adventure you’ll never forget! 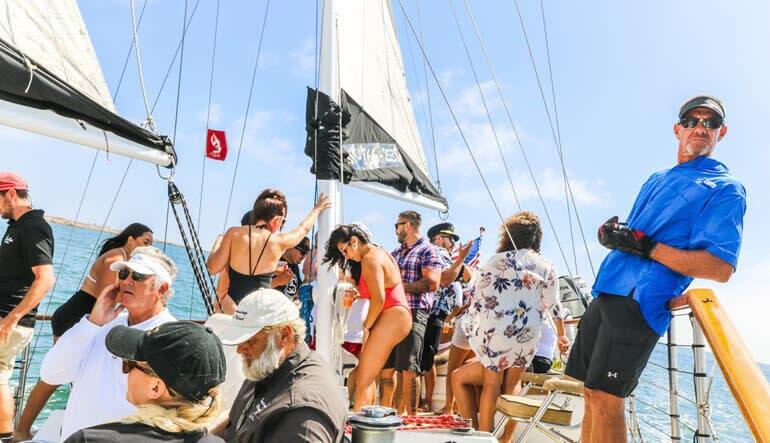 Book your San Diego Bay yacht cruise today!